Balance between sportiness and efficiency: BS VI compliant, the BMW X1 sDrive20i features a four-cylinder petrol engine. The BMW X1 sDrive20i has been launched in India today. 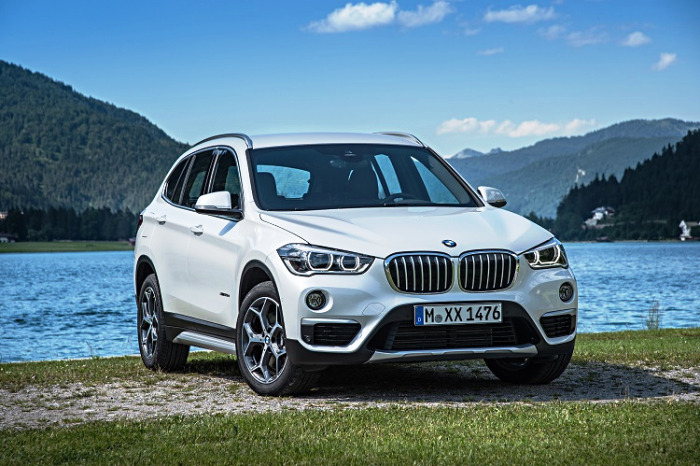 With this launch, the sportiest premium compact sports activity vehicle (SAV), the BMW X1 is also available in a petrol variant offering dynamic ability, unbeatable efficiency and exquisite comfort both on and off road. The BMW X1 sDrive20i is locally produced at BMW Group Plant Chennai and can be ordered from BMW dealerships from today onwards. The BMW X1 sDrive20i has been introduced in an exclusive ‘xLine’ design scheme that bestows practicality and modern styling. *Price prevailing at the time of invoicing will be applicable. Delivery will be made on ex-showroom. Ex-showroom price (inclusive of GST and compensation cess) as applicable but excludes Road Tax, RTO statutory taxes/fees, other local tax/cess levies and insurance. Prices and options are subject to change without prior notice. For further information, please contact your local Authorized BMW Dealer. BMW X1 is available in Alpine White (non-metallic) and in the following metallic paintworks: Black Sapphire, Mediterranean Blue and Sparkling Brown. The range of fine upholstery combinations in BMW X1 include Sensatec Oyster and Black, Sensatec Black and Black. xLine is the perfect choice to further emphasise the off-road character of BMW X1. The boldly designed kidney grille slats in aluminium matt and grille frame in chrome high-gloss set clear visual accents. The 18' light alloy wheels in Y-spoke style accentuate the dynamic character of the BMW X1 sDrive20i. Door sill finishers in aluminium with BMW lettering and sport leather steering wheel in the interior stylishly round off the xLine. The xLine design scheme also features panorama sunroof and ambient lighting scheme in orange or white variable. The two-litre four cylinder petrol engine of the BMW X1 sDrive20i is BS-VI compliant and produces an exceptional power output of 141 kW / 192 hp and a maximum torque of 280 Nm at just 1,350 – 4,600 rpm. The car accelerates from 0 to 100 km / hr in 7.6 seconds with a top speed of 224 km / hr. The petrol variant of X1 features an all-new seven-speed Steptronic sport automatic double clutch transmission that performs smooth, almost imperceptible gear shifts. The new transmission not only proves a more efficient conduit of power but also improves fuel efficiency and reduces CO2 emissions. At any time, in any gear, the transmission collaborates perfectly with the engine, enabling it to develop its full power and efficiency. The BMW X1 sDrive20i is equipped with Servotronic speed-sensitive steering assistance which allows parking and turning-off manoeuvres to be completed safely and comfortably with little steering effort. At higher speeds, drivers can especially look forward to the steering precision. The BMW X1 provides unparalleled performance coupled with cutting-edge safety technologies. BMW’s exemplary safety provides optimal support in any situation with six air bags, Anti-Lock Braking System (ABS) with brake assist, Dynamic Stability Control (DSC) including Dynamic Traction Control (DTC), Cornering Brake Control (CBC), Hill Descent Control (HDC), Side-impact Protection, Runflattyres with reinforced sidewalls, integrated emergency spare wheel, BMW Condition Based Service (Intelligent maintenance system), electronic vehicle immobiliser and crash sensor. BMW EfficientDynamics measures make a key contribution to the excellent fuel efficiency of the BMW X1. Aerodynamic excellence and the accompanying reduction in fuel consumption are guaranteed by details such as the side air blades on the tailgate and the air curtain integrated into the air inlets at the front. These measures are aided by additional features such as the 50:50 weight distribution, low centre of gravity, intelligent lightweight construction, automatic start/stop function, ECO PRO mode, brake energy regeneration, electric power steering and more. BMW has been setting the standard for connectivity between human, car and the outside world for many years now. The BMW sDrive20i xLine comes standard with BMW ConnectedDrive features such as touch-enabled Navigation with iDrive touch controller and 16.5 cmscolour display, BMW Apps, Wireless Apple Car Play, Park Distance Control (PDC), Rear-view camera, Connectivity through Bluetooth and USB connectivity.